No one ever expected Catriona Menzies- Pike to run a marathon. She hated running, and was a hopeless athlete. When she was twenty her parents died suddenly - and for a decade she was stuck. She started running on a whim, and finally her grief started to move too. Until very recently, it was frowned upon for women to run long distances. Running was deemed unladylike - and probably dangerous. How did women’s running go from being suspect to wildly popular? How does a high school klutz become a marathon runner? 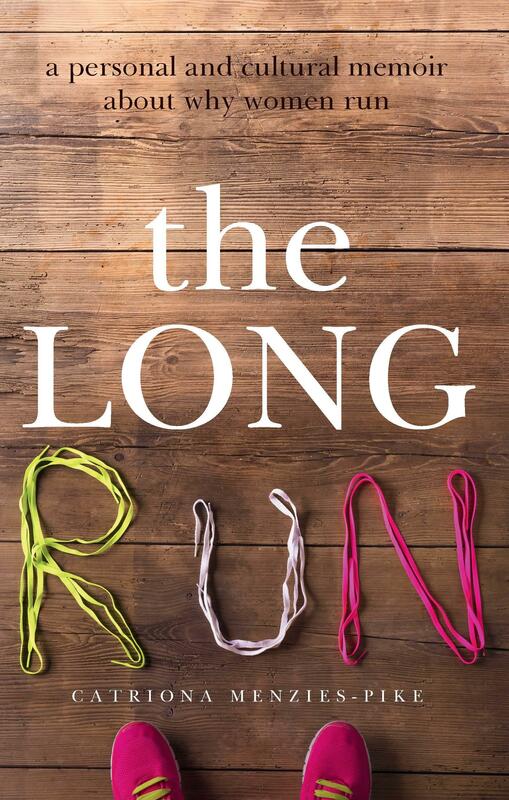 This fascinating book combines memoir and cultural history to explore the rich and contradictory topic of women and running. Catriona Menzies-Pike came late to running. Until she turned 30, she was known to friends and family as the person ‘least likely to run around the block’; a gin-addled bookworm who rolled her eyes at runners prancing through the park. There was no great, revelatory moment in which she realised that running could be an emotional refuge as well as a physical act. She simply started running on a treadmill in a grimy Kings Cross gym after arbitrarily announcing to her family that she would someday run a marathon. Her description of that first visit introduces the first of many interesting facts: did you know the treadmill was actually invented to punish inmates in 19th-century prisons? Menzies-Pike, who is editor of the Sydney Review of Books, soon shirks the gym for leafy streets and parks, but keeps running. She becomes fascinated by the connection between running and feminism, and the stories of female long-distance runners in history. If you’ve never thought of running as being culturally significant for women, consider this: until 1984, women were banned from entering the Olympic marathon. Up until very recently, the most common historical depictions of women running were of women running from danger or disgrace. Menzies-Pike explores the Western world’s uneasiness with women running through their representation in books, film and art. She derides the ‘pinkification’ of women’s-only running events and skewers TV tropes like ‘Joggers Find Death’ for perpetuating the irrational sense that women look or become vulnerable when they run. There is a personal journey here, too. Despite her insistence that she has nothing coherent to say about her parents’ premature death, Menzies-Pike is eloquent and articulate when writing about grief. She posits that movement can simultaneously be a metaphor and an action; that running can transform the body into a medium of perception. There is a lot of literature on running already around – Murakami’s memoir springs to mind – but none of it speaks specifically to, and of, women’s experience in what was up until the 1960s an exclusively male domain. This is a deftly researched and deeply satisfying book, which ultimately covers a great deal of ground. Hilary Simmons works as a bookseller at Readings Carlton.